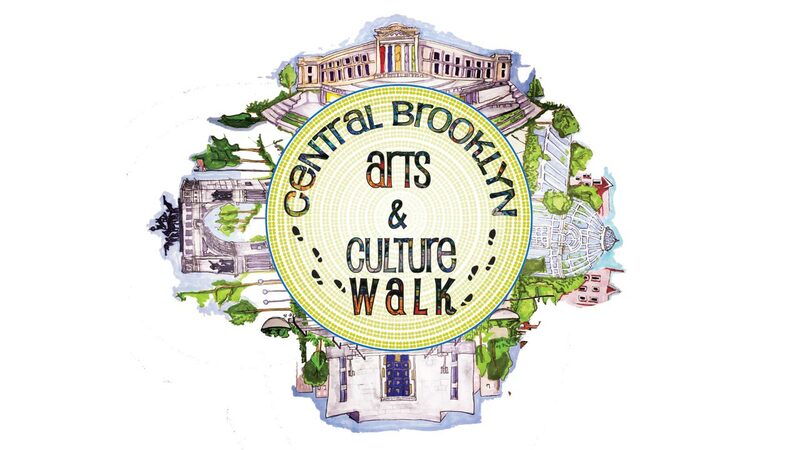 NEW YORK -- Take part in a celebration of art in the heart of Brooklyn this June, with the Central Brooklyn Arts and Culture Walk. The festival includes activities for the whole family; cultural exhibits, food vendors, live entertainment and a children's village. Directions:	Take the 2 or 3 train to Eastern Parkway/Brooklyn Museum and walk west along Eastern Parkway to the library. Description:	Located in the center of Grand Army Plaza, the grounds for this landmark monument will serve as the main stage for the Central Brooklyn Arts and Culture Walk's performances, which will include a diverse mix of artistic expressions. Directions:	Take the 2 or 3 train to Grand Army Plaza and walk south to the plaza area. Description:	As an international hub for academic study, research, and literary exploration, Central Brooklyn Library's plaza area will serve as the sight for one of CBACW's stages where a variety of family-friendly activities, live performances, and more will take place. Description:	Brooklyn Botanic Garden is an urban botanic garden that connects people to the world of plants, fostering delight and curiosity while inspiring an appreciation and sense of stewardship of the environment. In celebration of CBACW, Brooklyn Botanic Garden will be presenting children's science discovery carts, providing an opportunity for children and family members to explore plants and engage science educators while discovering the fascinating world of plant science in front of the Garden's Eastern Parkway entrance. Directions:	Take the 2 or 3 train to Eastern Parkway/Brooklyn Museum and exit right. Brooklyn Botanic Garden is on the right. Description:	The museum's plaza area will be the setting for a variety of live cultural dance and theatrical performances, arts and crafts workshops, and much more. Directions:	Take the 2 or 3 train to Eastern Parkway/Brooklyn Museum and walk west to the Eastern Parkway entrance. Description:	Ronald E. McNair Park will serve as the official site for CBACW Children's Village, providing parents an opportunity to relax as their children participate in various activities including arts and crafts, board games, face painting, child-friendly theater, dance and music performances. Other engaging activities will include rock climbing, kiddie-rides, bouncy houses, and much more. In addition, CBACW will unveil the BK Chill intergenerational ice cream tasting, providing interaction between seniors and children. Directions:	Take the 2 or 3 train to Eastern Parkway/Brooklyn Museum and walk east along Eastern Parkway to the crossing of Washington/Classon Avenues / Take the 2, 3, 4, or 5 train to Franklin Avenue or the Shuttle train to Botanic Garden and walk west along Eastern Parkway to the crossing of Washington/Classon avenues. Description:	Patrons visiting CBACW will have an opportunity to feast on various mouthwatering dishes, treats, and exotic dishes from an exclusive host of gourmet and specialty push carts and truck vendors. Trucks will be stationed along the right side of the street, providing curbside dining for our 20,000+ anticipated guests. Directions:	Take the 2 or 3 train to Eastern Parkway/Brooklyn Museum and walk east along Eastern Parkway to Washington/Classon avenues crossing/Take the 2, 3, 4, or 5 train to Franklin Avenue or the Shuttle train to Botanic Garden and walk west along Eastern Parkway to the crossing of Washington/Classon avenues. Description:	In addition to mouthwatering meals from our truck vendors, patrons can pick up a wealth of information from numerous nonprofit agencies and businesses, engage in health and wealth screenings, and purchase arts and crafts. Directions:	Take the 2 or 3 train to Eastern Parkway/Brooklyn Museum, walk east along Eastern Parkway to the crossing of Washington/Classon Avenues. Take the 2, 3, 4, or 5 train to Franklin Avenue or the Shuttle train to Botanic Garden and walk west along Eastern Parkway to the crossing of Washington/Classon avenues.